I'm a very untidy tagger. I tag randomly and according to whim. 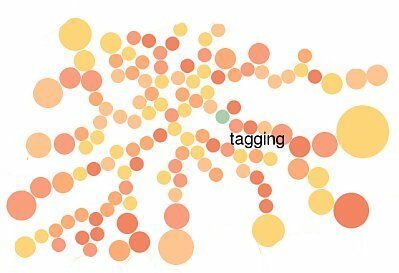 Over the last year, thanks to my static tags plugin for pyblosxom, I have accumulated 150+ tags. Most of those are applied to hardly one or two entries and increasingly my tag cloud has been cluttered with such one-offs. I spent an hour today checking out how to represent so much information into a single screen-ful. And I found a brilliant example in the penny packer extension. So bye bye to the plaintext tags. Say guten tag to the Ishihara version. price tag on other side. Added static rendering support for the tags plugin for pyblosxom. Changeset is (-77, +113) and you can get the modified code from here.